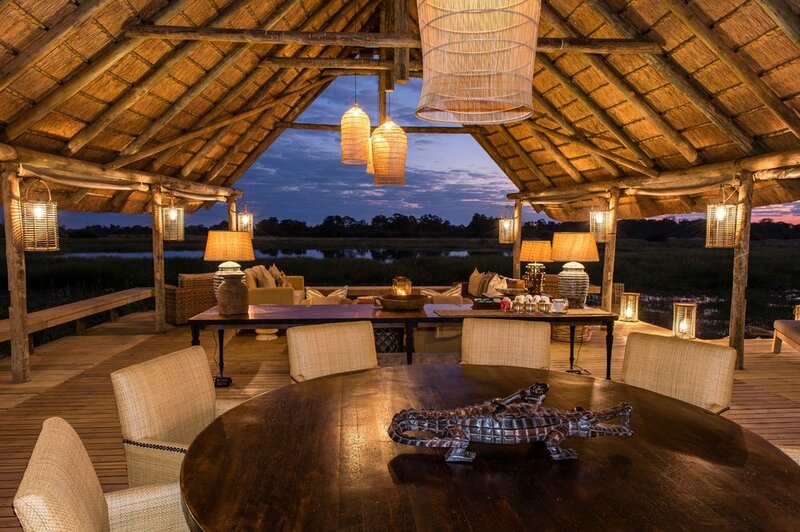 Sitting right on the edge of the Okavango Delta, Sable Alley offers classic safari style with truly outstanding game viewing. 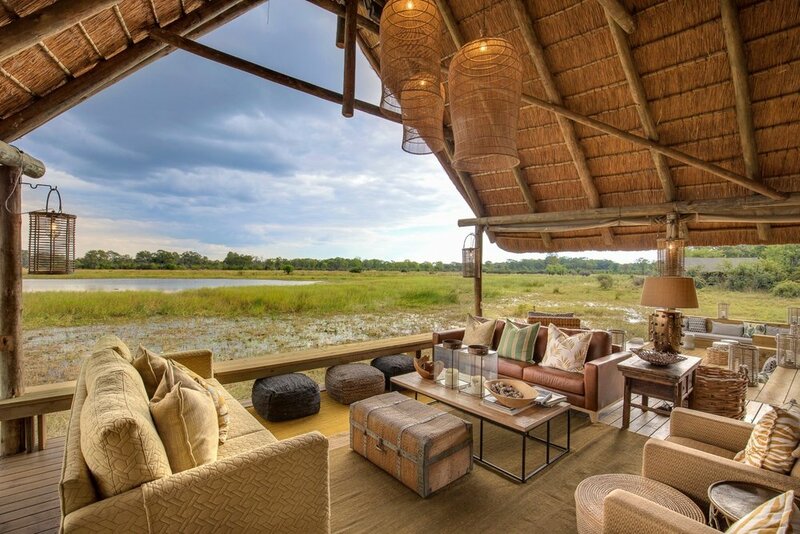 The lagoon out front is teeming with big animals, from the thirty hippos that call this area home to large herds of elephant, buffalo, and wildebeest that pass by for a drink of water before heading on their way. 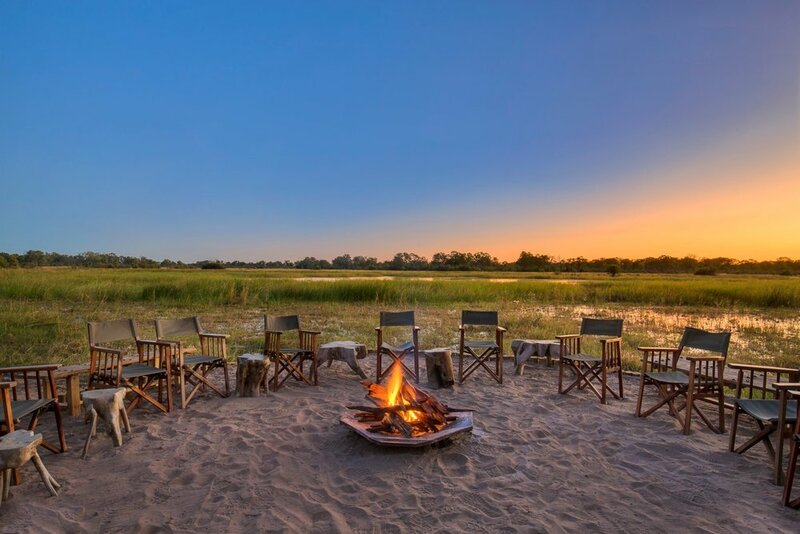 During your stay you’ll enjoy classic safari drives through the 440,000 acre Kwai Private Reserve, where riverine woodlands, open floodplains, rivers, and mopane woodland offer diverse habitats for a huge range of wildlife. 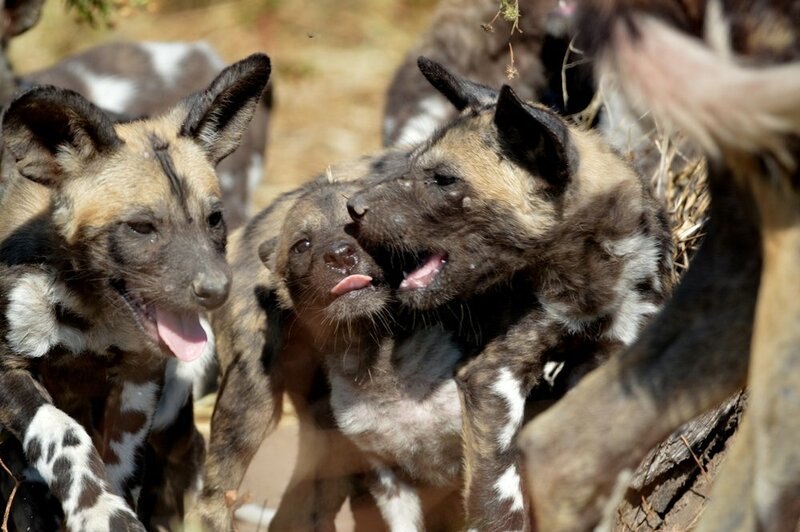 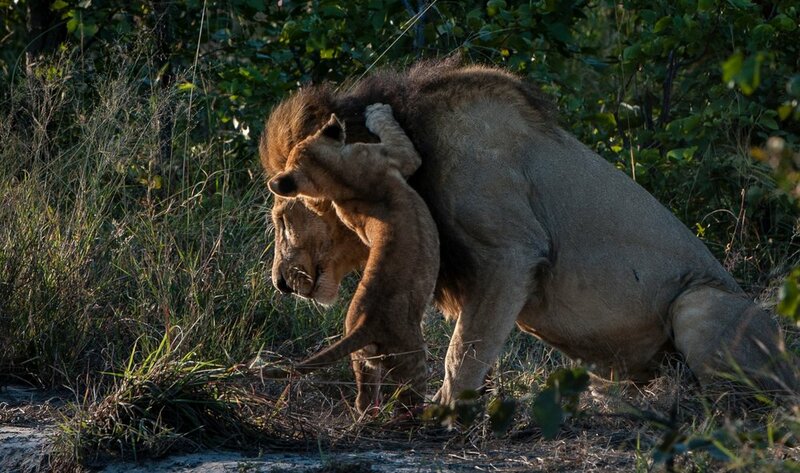 Lions, leopards, and wild dogs all roam the area, too–providing for what can be especially exciting sightings! 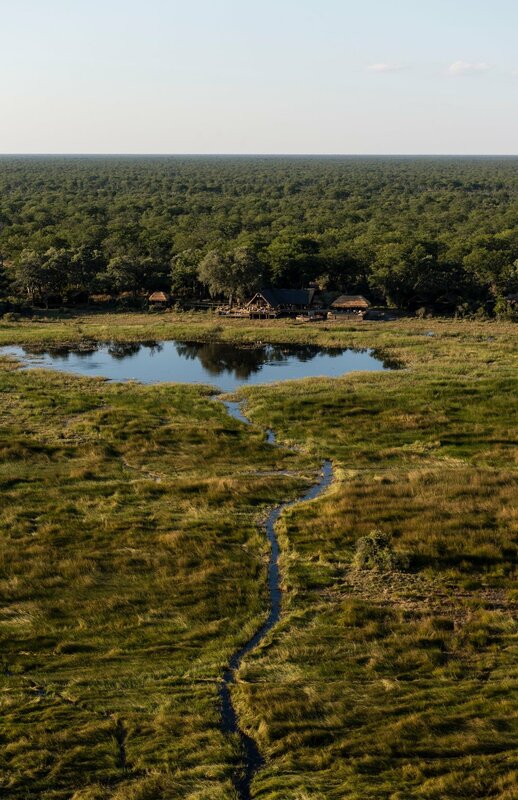 You’ll also get to enjoy a traditional mokoro safari, in which you ride along in a dugout canoe with an expert guide who “poles” you through the water (and keeps a look-out for those resident hippos). 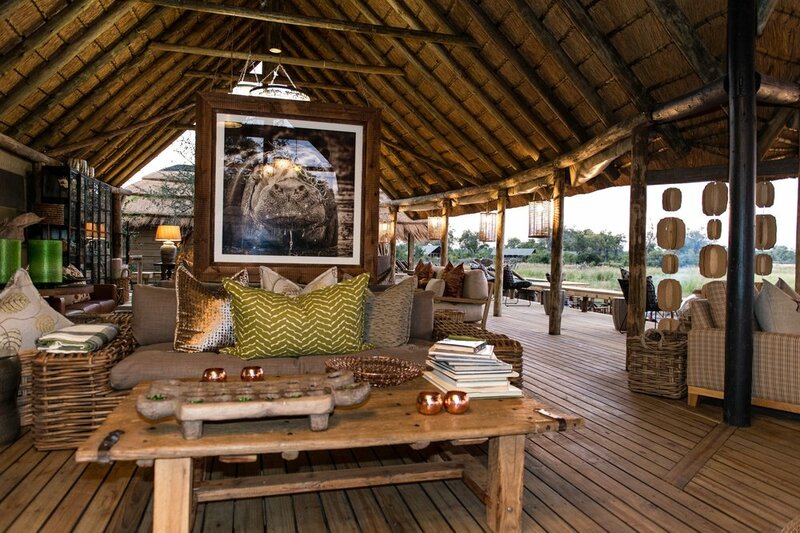 Sable Alley is made up of twelve tents, all perched on raised decks with thoughtful touches and uninterrupted views. 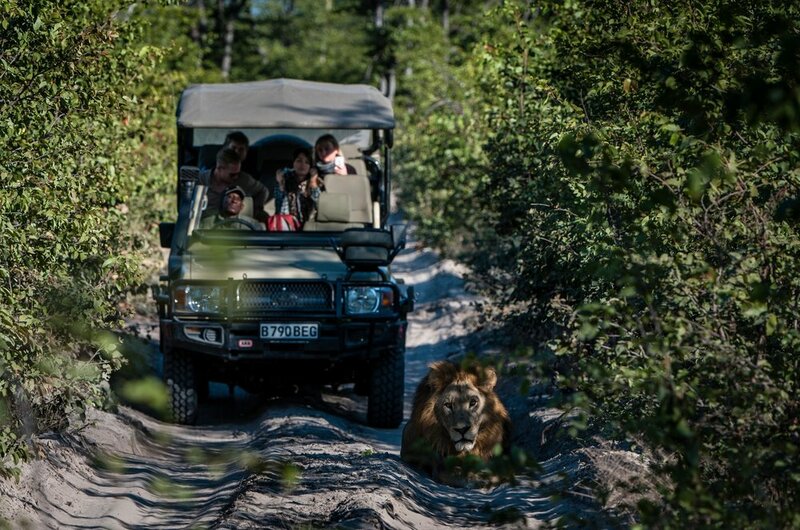 Traveling with kids in tow? 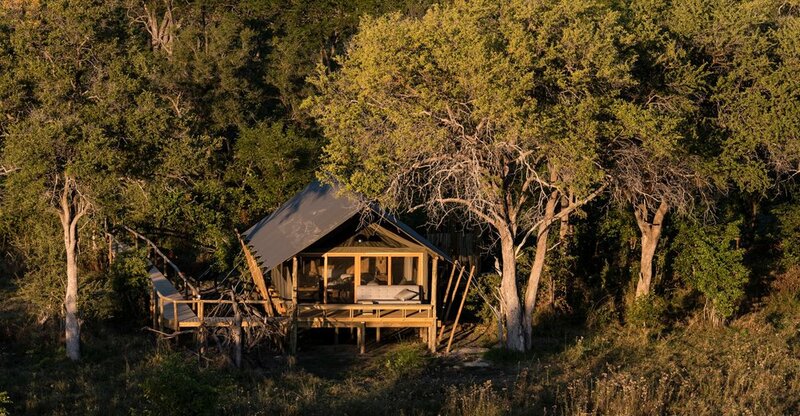 Two of the twelve tents are perfect for larger parties. 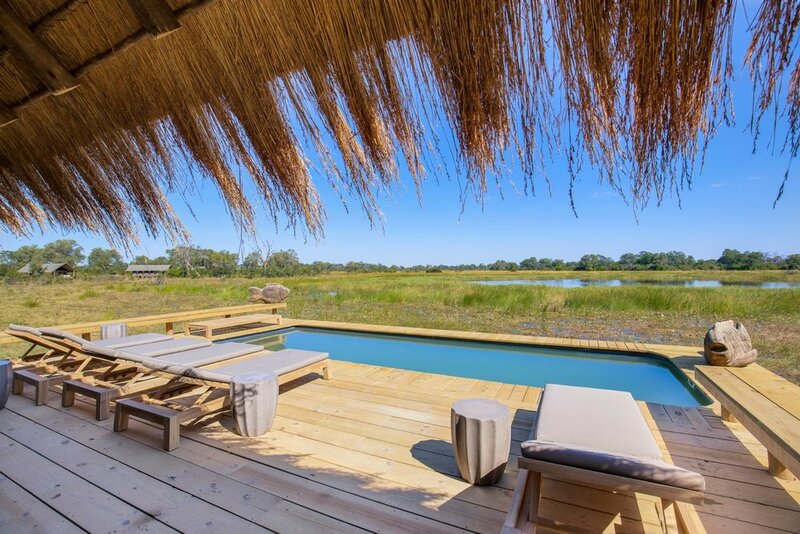 Days at Sable Alley go something like this: Imagine a wonderful morning on safari where you spot your first herd of elephants or pride of lions, followed by an afternoon siesta or visiting with other guests around the pool and lounge area. 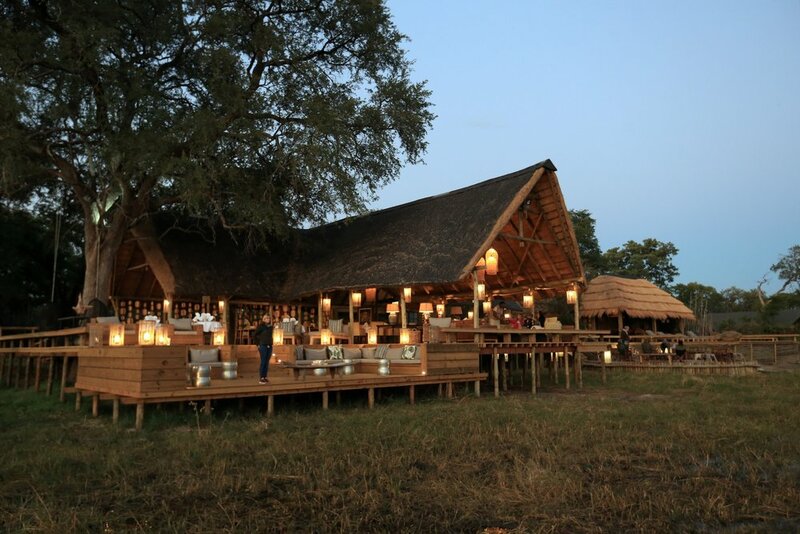 By the time early evening rolls around, you would be ready to indulge in a delicious meal cooked right there on the property, paired perfectly with an safari classic—a gin and tonic. 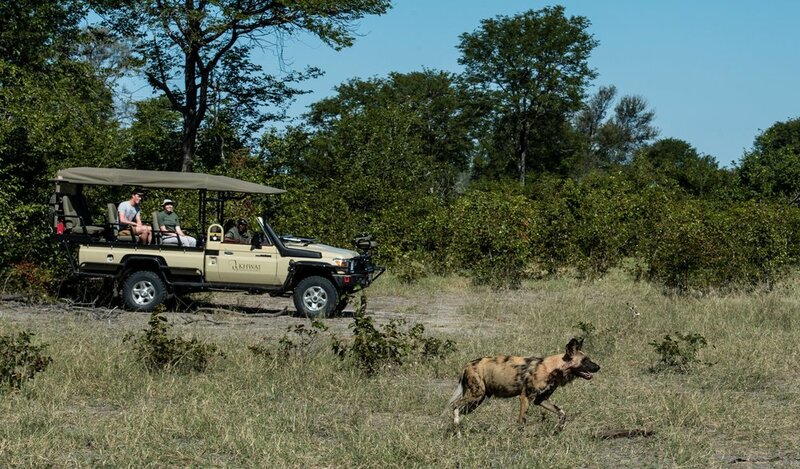 Then, you would embark on a night drive where you will encounter nocturnal creatures such as spiked porcupines and fearless honey badgers. 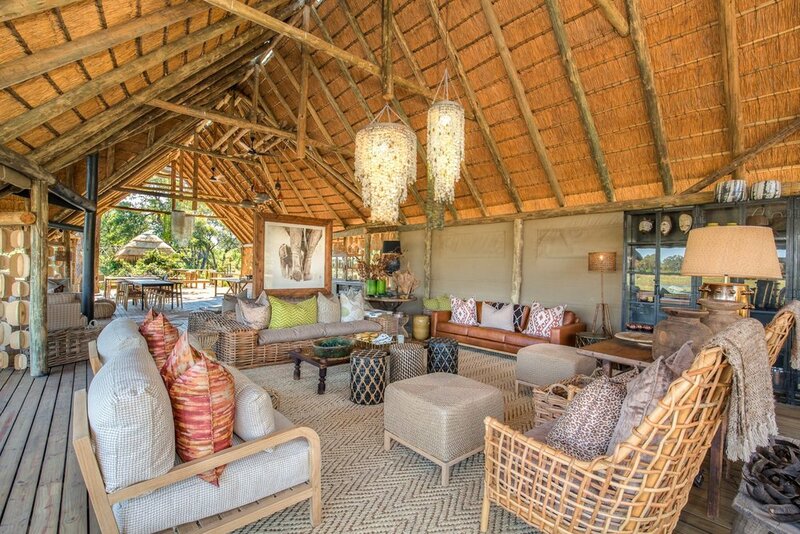 One thing is for sure—if you’ve come to Africa to enjoy this continent’s amazing animals, Sable Alley is one of the best places to do it. 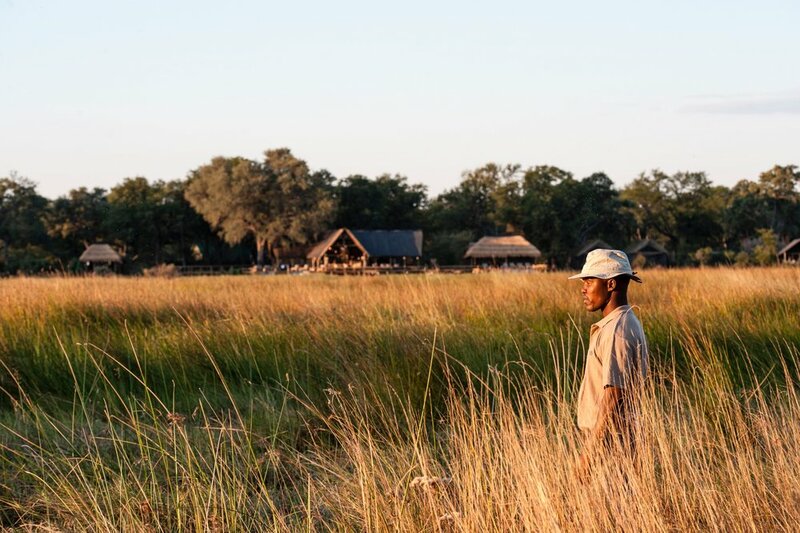 "AN INTIMATE, TRADITIONAL SPACE WHERE HEARTS AND SPIRITS FIND INSPIRATION IN A HISTORY RICH WITH EXTRAORDINARY WILDLIFE STORIES..."